Pink was not what Eleanor Braddock ordered, but maybe it would soften the tempered steel of a woman who came through a war--and still had one to fight. Eleanor Braddock, a spinster at 30, has long since dismissed any hope of marriage. But when a dying soldier whispers his final words, she believes her life can still have meaning and determines to find his widow. But this compassionate deed takes a harsh turn, and Eleanor finds herself dependent upon the richest woman in America and the most despised woman in Nashville--her aunt, Adelicia Acklen, mistress of Belmont Mansion. A clandestine act of kindness leads Eleanor to an unlikely path for her life--building an orphanage, a place that will house widows and orphans from the Civil War. And while Eleanor knows her own heart, she also knows her aunt will never approve. Marcus von Quint, Archduke of the House of Habsburg and second in line to the Austrian throne, arrives in Nashville in search of a life he determines, instead of one determined for him. Collaborating with botanist Luther Burbank, Marcus seeks to combine his own passion for nature with his expertise in architecture. But his plans to incorporate natural beauty into the design of the orphanage run contrary to the wishes of practical, frugal Eleanor, who sees his ideas as costly nonsense. Yet as the construction project continues, Marcus and Eleanor find common ground--and a love neither of them expected. But Marcus is not the man Adelicia has chosen for Eleanor to marry, and even if he were, someone who knows Marcus's secrets is about to reveal them all. 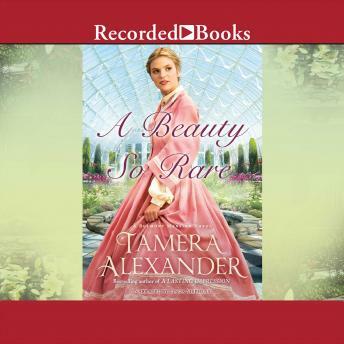 I enjoy "beauty so rare" because it was an endearing book. A time when choices for women were limited and often choices are made for them. Borned into Royal families for gentlemen also limit choices of the heart. Two people wanting to make a way in life that their families frown upon. But good hearts and deeds see them through.